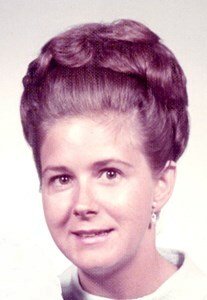 Faye spent many years in the retail industry as both clerk and manager at such Casper stores as Okes Jewelers and Demarcos. She loved being with people and will be sorely missed by many she grew to know throughout her working and retirement years. In her leisure time she enjoyed reading, cooking, spending time with her "grandpuppy" Mia Bella, and engaging in political banter with her daughter and friends. She loved traveling especially when the destination was a beach. Faye was a loving and beloved mother, aunt, and friend. The void left by her passing is great but faith ensures those left behind that she is now whole and at peace in Heaven. She will forever live on in the hearts of those who loved her deeply. Memorial contributions may be made to Central Wyoming Hospice or to St. Jude Children's Research Hospital. Add your memories to the guest book of Faye Quickel. Lynn I am so sorry, first it was your Father and now your Mother. Faye was such a special person to know. We got to be friends when she was managing Ms Demarcus. I was proud to be her friend.